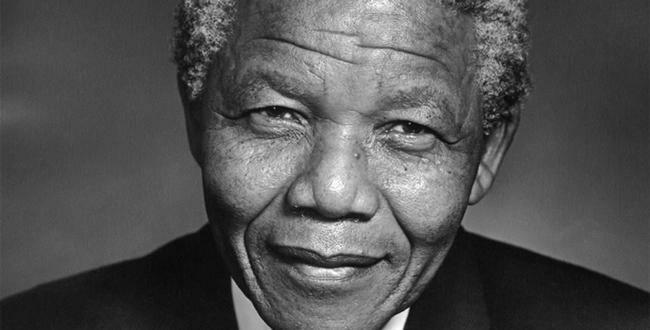 Nelson Mandela, former president and life-long fighter for racial equality in South Africa, has died at the age of 95. Most of us young folks can’t fathom South African apartheid, although our parents might recall its American parallel: Jim Crow segregation. Most of us can’t imagine what it’s like to be forced — by legal and cultural practice — to live as a second-class “citizen” (South African Blacks were denied full citizenship during apartheid) in one’s own country, based entirely upon the colour of our skin. More importantly, we can’t conceptualize the courage it takes to see a social iniquity, to stand up, to fight back, to challenge that institution of oppression. Nelson Mandela will, like a handful of other historical figures, always be remembered as a man who did just that. He stood up. He fought back. He challenged his country to be better than it was, even when it cost him personal freedom and earned him international revulsion for it. Nelson Mandela and the African National Congress’ war to end South African apartheid was a prolonged struggle punctuated by uphill victories and devastating defeats. It was a war that sometimes turned bloody, but remained focused upon a dream of a better future where all people — men and women, black and white — can come together to forge a united vision. The struggle to end apartheid is not mine, and I will not disrespect Mandela’s memory by laying claim to it. But, I am still inspired by Nelson Mandela and his unwavering commitment to social change. I am still inspired by a man who faced 27 years of imprisonment and emerged unbroken. I am still inspired by a man who started life as a rural villager and ended it a president. I am still inspired by a man who answered the cry for change. I am still inspired by a man whose enduring legacy reminds us that every individual — no matter how humble their origins — has the power to make the world a better place. In the coming hours and days we will honour Nelson Mandela’s memory. But if Mandela will have left any legacy to the world, it will be that memorializing is not enough. Apartheid has ended in South Africa, but racism still thrives in our world; we — all of us — have a responsibility to not let Mandela’s struggle end this week. We — all of us — have a responsibility to find our own courage to stand up, to fight back, and to challenge. We have the responsibility to act. I hope we can make Mr. Mandela proud.